These custom printed Multi-Pocket Messenger Shoulder Tote Bags come in multiple colors to accent any logo color. 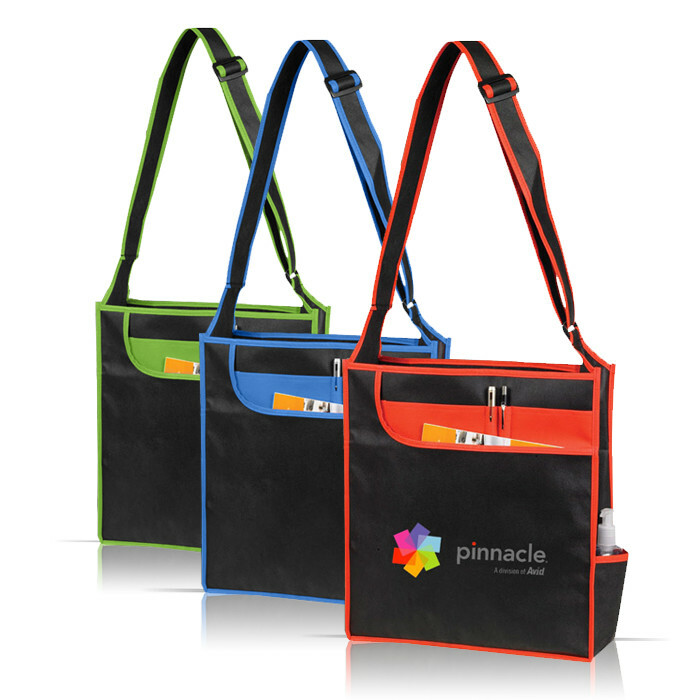 These custom tote bags are perfect as tradeshow giveaways and corporate gifts. 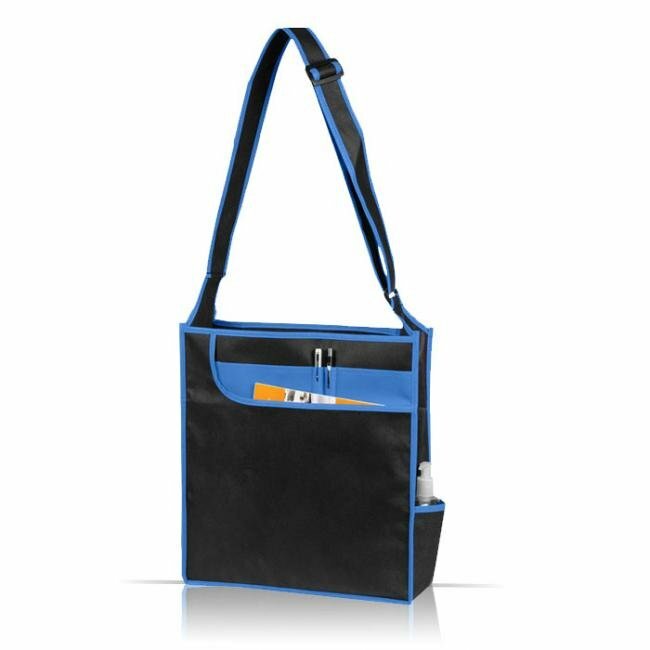 Constructed out of Non Woven Poly, these custom printed Multi-Pocket Messenger Shoulder Tote Bags are strong and durable yet light weight making them easy to carry. The two tone design of this tote bag not only makes it aesthetically pleasing but also contemporary in feel. 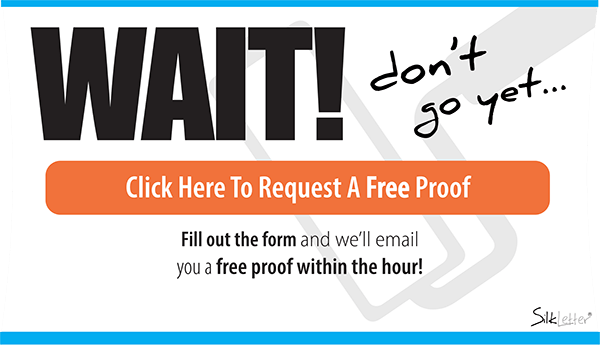 Use these custom printed Multi-Pocket Messenger Shoulder Tote Bags as tradeshow giveaway gifts and we can guarantee that your company's logo will stand out from the rest. With a large imprint area and a multitude of accented colors, this custom tote bag would look great with your logo imprinted on them.